A wonderful gift idea for your loved one this Valentine's Day! 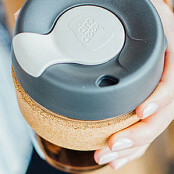 We know picking the perfect tea gift set for your loved one takes time...so to give you a hand we've done the hard work and built one up for you to save you the hassle! 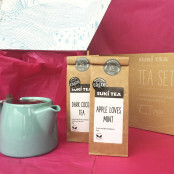 The Suki Teaset, presented in a box includes the ForLife Stump Turquoise Teapot, Apple Loves Mint & Dark Cocoa Tea! Product : An excellent way to venture into the world of speciality teas. Service rating : Very efficient service. Thank you! Product : Delighted with tea pot and accessories, and of course, the tea. Hi Grace, thank you for your feedback. I have emailed you to discuss this further, after trying to get in touch with you last week. We will be able to sort the issue out for you. Absolutely love their tea, especially the apple loves mint! Product : The perfect gift! Glad to hear you were pleased with your purchase. Service rating : A really good, easy purchase. Good communication and packaged well too. Product : Lovely, goes really well with the tea pot I purchased. Makes having a cuppa very special.